“New home, new adventure and new memories.” Moving to a new house can be quite exciting, but you are equally aware of the responsibilities and paperwork required before you leave. Out of all that you have to do, bond cleaning is one of the primary tasks at hand. Unlike normal dusting or vacuuming, this cleaning has to be of high standard and is essential by law. Depending on this thorough bond clean, you will be refunded the bond deposit. In case your efforts are not sufficient, you might lose a good portion or sometimes the whole amount of deposit. Don’t worry as Carpet Cleaning for Perth is here for you. We are certified and skilled professionals who will take up this hassle for you and offer the top quality cleaning required for getting back your bond. Thorough cleaning of fans, lights, oven, cupboards and more. Our trained experts know how to use the appropriate equipment to clean the hard-to-reach areas of your house. Over the years, we have successfully become one of the reliable professional cleaners in Perth. If you want to know the various services we offer, keep scrolling. There’s more! It’s no surprise if the landlord notifies you to inspect his home you are staying in presently within the next 24 hours. And be prepared, this inspection can be quite thorough, even ending you with paying a hefty fine if it’s unclean and poorly maintained. For such situations, you can call us for exclusive rental inspection cleaning at the shortest time. As professionals, we understand the requirements of a landlord and what those target areas are that can eat up the tenant’s deposit if not cleaned. It is important to clean the big investments first so that the owner can be assured; things are well-maintained. It is important to start right from the moment you receive the notification from your owner. This offers ample time to fix any issue before the inspection day. We would recommend you to contact us at the earliest even if you are in Joondalup so that they don’t have to bear the last minute stress. Keeping everything scattered and out on display don’t give out an impressive image of maintenance. So, it is equally essential to remove all those things that are not in use and clear the clutter. One can utilize the storage corners even if it’s temporarily for inspection. Preparing a list of the areas that require cleaning and repairing. You can leave this part to us as our experts will perform an initial inspection at your place and prepare a thorough checklist for you. No matter a person is staying in Joondalup or any other place in Australia, the rule of inspection is same everywhere, and practically, it can cause a lot of stress. However, our professionals will make the task easy for you. You just have to contact us and we have solutions for different types of cleaning. Our rental inspection cleaning package will ensure you to have the best service at affordable cost. Be assured to have a clean and presentable house with us. 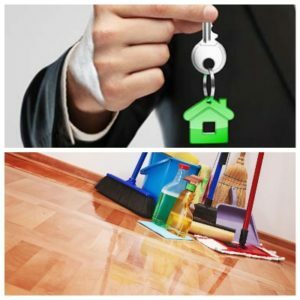 Avail One of the Best Real Estate Cleaning Services from Us! Not just for tenants, but we also offer our cleaning services to the residential complexes put up on sale on the market. We give a special edge to represent the properties in the best way with our real estate cleaning service. If the seller wants to get the most out of the process, it is important to prepare the house for display. Here’s what we offer in our for sale cleaning. We also offer customized services as per our client’s requirements. Ensuring a smooth communication between the clients and the service providers is extremely necessary for the highest work satisfaction. Are you in Rockingham or somewhere else in Australia? Don’t worry; our services are always extended to your place. What are the essentials to be considered? The real estate must be properly evaluated regarding where and what type of cleaning is required. What the other specific requirements are. For ex –repairing, etc. The appropriate products required for cleaning specific things. For ex- The solution used for cleaning tiles and grouts will certainly not be used to clean carpets. Once you hire experienced cleaners at Rockingham like us, be assured that we will consider all these important factors in our service bond cleaning service. Why should you hire professionals for real-estate cleaning? Most people in Australia often wonder that why do they even have to hire professionals and make an extra investment! Well, there are some really beneficial reasons for that. Hiring experts save you a lot of time. Whether you are a realtor or a property owner, calling the professionals allow you to work on more important tasks rather taking up the hassle of cleaning unnecessarily. Experts know the correct solutions for cleaning different materials. Not just that, but they also have access to various resources and equipment required for the best service. Again, they have the necessary know-how regarding their job. You don’t have to be present for guiding them. With experienced cleaners from Carpet Cleaning for Perth, you can also save a good amount of money. If you are moving out and shifting to a new house, guess what the last thing to bother you is? End of lease cleaning! Are you ready to strain your hands to remove the dust and stubborn stains? Well, it’s always wise to leave the job to experts like us who have trained and qualified team to work for you. 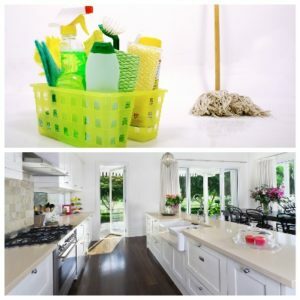 How to identify your cleaning company is reliable? No matter whom you are hiring, evaluating some of the factors help you assess whether the company you are choosing is reliable or not. Below are the questions to ask and the answers where we qualify for you. Yes! You must hire a cleaning service provider who is both certified and experienced. Our team has knowledgeable members who can also guide you regarding the maintenance of your new property later. How long will they take to clean? A proficient team can always finish up the house cleaning even if the clients in Midland or anywhere in Australia, at the fastest time. However, this specifically depends on the condition of the house and what type of cleaning is required for different areas. Do they use chemicals for cleaning? Chemicals are extremely harmful to wherever you use them. These might cause permanent stains on the floor or damage on the carpets and upholstery. Instead, our professionals at Carpet Cleaning for Perth use safe solutions that increase the longevity of the products. Do you have to arrange equipment for them? A reliable company will never ask you to arrange for anything required in the cleaning process. Rather, they will have access to advanced equipment specifically used by professionals. For end of lease cleaning, one can always be assured that we fulfil all these criteria. Now that you have hired our company, what are you going to do next? Prepare the property for cleaning! For ensuring the best cleaning services, there are certain things that clients need to beforehand. Read on! Pack all the belongings that will be shifted to the new house in Midland or anywhere. Throw away the rubbish so that we get more area to clean. Unlock all the cabinets, drawers, shelves, etc. However, make sure those are empty. Keep away the fragile items (this is for safety). In case of any damage, fix those beforehand so that we can do the final cleaning after all the work. For any replacement, it’s better if you can get that done ahead. Our Complimentary Sanitizations along with Standalone Move Out Cleaning Exclusively for You! Although a lot of things like scheduling transportation, changing the address, completing the paperwork, etc. are involved while changing a residence, move out cleaning is something you cannot ignore. To ease and fasten your process, we are here to help you out with the cleaning part. The professionals at Carpet Cleaning for Perth can customize their plans to cater to your requirements. However, apart from this, what comes as exclusive in our service is the complimentary deodorization and sanitization. Why is sanitization so essential? Through proper sanitization, dirt and as mall amount of germs can be completely eradicate dafter cleaning with solvents. We always go an extra mile to disinfect the harmful microbes that often stays back even after thorough cleaning and vacuuming. In fact, sanitizing reduces the chances of allergies which are often the cause of various breathing problems and health issues. It also helps in reducing the occurrence of bugs, pest and rodents in the house. If pets are there, this process becomes extremely essential as you know even your tamed companions can spread germs. Safety and hygiene are our major priorities of move out cleaning. The process limits spreading of germs and hence, illness. However, one suggestion – While we are working, children and pet should be kept away from the area as our equipment and sprays might cause them health issues. It’s always good to be on the safe side. Customers have always referred our name as the most reliable and trusted professional cleaners in Perth. We understand your requirement and work accordingly to fulfil your object. Following this cleaning, we also offer regular house cleaning and maintenance if required. Why choose Carpet Cleaning for Perth? So, whether you are a tenant trying to get your deposit or a proper owner trying to attract new tenants, we know what your customers want. Book us for bond cleaning today if you are in Perth, Fremantle, Joondalup, Midland, Rockingham, Mandurah or anywhere around Western Australia (WA).Wait no more and call us now on 0424 470 460. Avail quality cleaning!